Destiny 2 Nightfall Strikes are base versions of the standard Strikes, but the difficulty is ramped up through multiple modifiers, giving you a harder version of the usual missions. In this Destiny 2 Nightfall Strikes guide, we'll be walking you through everything you need to know going into the elite missions. If you need anything else at all on Destiny 2 that isn't strike related, the latest details on the Leviathan Raid, and every Exotic weapon we know of so far, be sure to head over to our Destiny 2 guides walkthrough hub. 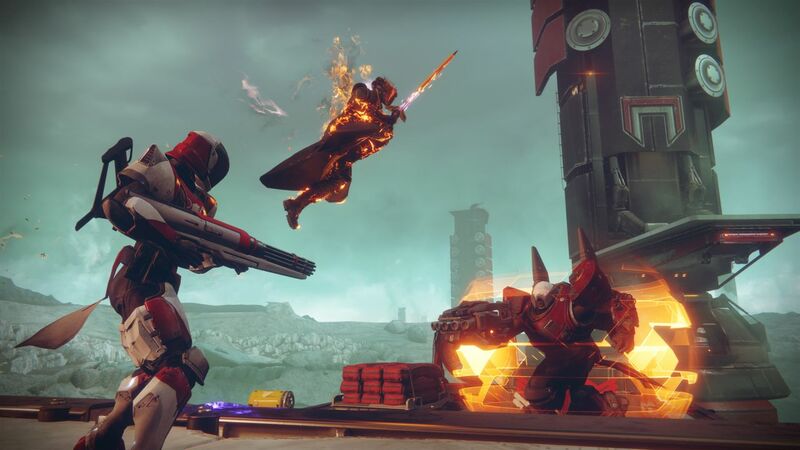 If the standard Strikes aren't that much of a challenge to your character in Destiny 2, then you should probably consider undertaking a Nightfall Strike. Imagine your standard Destiny 2 Strike, but with a bunch of difficult modifiers thrown in the mix. For example, all the enemies could have increased aim, or your player character could take significantly more damage while airborne. To start a Nightfall Strike, simply open up the Director, and select the Strike hub in the top left hand section of the screen. From there, the option on the left is to undertake a normal Strike, with the Nightfall Strike being located on the right. Destiny 2 Nightfall Strikes are far more difficult than the standard Strikes, and Bungie has also revealed that your character loadouts for each Nightfall Strike will be locked, meaning you can't suddenly decide to switch your equipped weapons halfway through the mission. At the above times every week, a new Nightfall Strike will become available. In the first week of Destiny 2, the Arms Dealer Strike was the Nightfall Strike, with added mods meaning you had to kill enemies to earn yourself more time to complete the Strike. To take part in a Nightfall Strike in Destiny 2 you'll need to make sure your guardian is sufficiently levelled up. To have any chance of success in a Nightfall Strike you'll need a guardian with a Power Level of at least 240, but ideally higher.